Hey Girl, are you going to a party or celebrating a holiday and worried about staying on track?? Before you go out for a fun filled day/weekend, here are some tips that can help you stay on track. 1. Plan ahead. If you're going out later in the day, plan your earlier meals ahead of time. Eat a healthy breakfast and lunch. Plan when you'll want to indulge a little bit. Will you want to indulge at the cookout or indulge with dessert? Planning when you'll want to treat yourself will help you make better choices throughout the day. 2. Drink water first. Before snacking or indulging on something unhealthy or drinking a cocktail, drink water first. Filling up on water first will help you decide if you're actually really hungry for unhealthy foods or if you really want another cocktail. Even when you're out at a party, try to aim to drink half your body weight in ounces. This will help you stay hydrated and will make you feel less bloated. 3. Get in a workout. Before heading out to the party, knock out a workout. It doesn't have to be hours at the gym..do a quick 20-30 HIIT workout at home or go for a walk/run. Getting your sweat on before the party will help you feel less guilty when you go for that dessert....this leads me to tip #4. 4. Don't completely deprive yourself. You can still have fun and treat yourself. Since you've already knocked out a workout and did so great throughout the week, give yourself a little slack and enjoy that cookie! Depriving yourself will only make it worse. You need to find the balance between clean eating, working out and indulging. Instead of tasting all the desserts, pick 1 and walk away. Don't graze around the table of desserts..or appetizers. 5. Don't stand and graze around the table. Get a plate and be smart with your portions. Once you have your food on your plate, go sit down away from the table of food. Sitting down rather then grazing will help you from overeating. You'll be more aware of when you feel full, instead of mindlessly eating. 6. 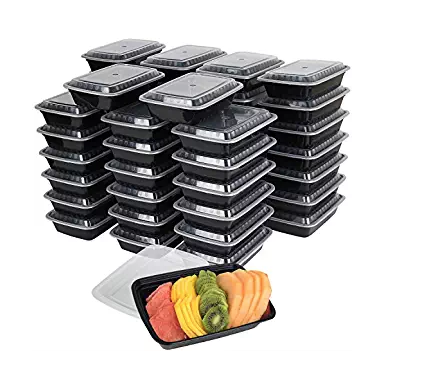 Meal prep or offer to bring something healthy to share. If meal prepping is your thing, then bring you're own food to the party. If meal prepping isn't your thing, offer to bring a healthy appetizer or side dish or dessert. There are so many healthy party options that you can find on Pinterest! 7. Eat the healthier options first. Go for the fruit and veggies rather then chips & dip. Fill up on the salad and veggies first. If you're still feeling hungry then go have a small portion of the not so healthy food. When you look at your plate, what does it look like? Is it filled with fruits, veggies and lean meats or is it filled with chips, dip, dessert and small portion of fruit? Look at your plate...how will you fill it? Need help with Meal Planning??? Check out the Meal Planning eBook! !